While looking through all our construction pictures to find a photo of Glen, I was reminded how far this little farm has come from the day we bought it in 2004. 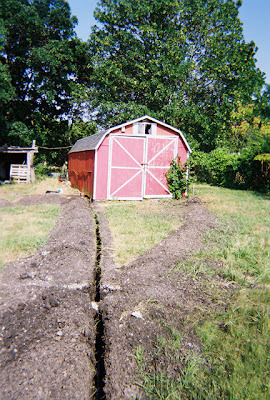 Trenching to the old shed for electricity. Somehow we missed getting a picture of the nastiness inside the shed before we cleaned it out. Three trips to the dump. Fresh framing, siding, windows and door. There's actually not much left of the original structure. Paint, shingles, and a special cupola. Interior paint, carpet, and shelving materials at the ready. Moving in all the contents and stash. Will it all fit? Ah yes. Cozy and comfy for creativity and hanging out. The LRB today - our sanctuary from the chaos of life. Have you gotten your Barn Fix lately? Oh, if you only lived closer, Cindy! 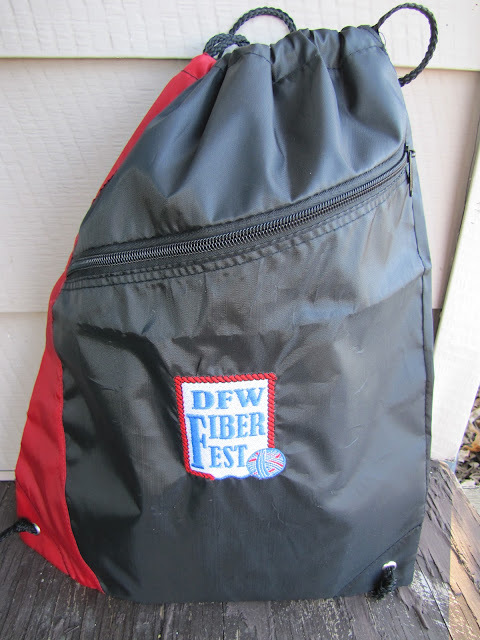 Looks like a veritable oasis of fluffy fiber. Thanks for the pics! Thank you, Lisa - I do wish we lived closer. Thank goodness for the internet. And prayer. They both overcome the miles! What a great memory to share! I'm in need of my barn fix. One of these days... I have a feeling when I see your place in real life it's only going to make me want to move to the country! (My husband and I talk about getting some land, but right now we just dream about it.) I can't wait to get to meet you and all the critters, and of course the LRB!